There has been controversy at the Snooker World Cup. However, this doesn't relate to anything on the table. Rather, Ken Doherty expressed his anger that the dress code had been broken by his Chinese opponent Liang Wenbo. Unfortunately we have to agree with Ken given that the violation was failing to wear a bow tie! Had Liang wished to be more prepared, by buying a bow tie he would actually be proud to wear, he should have checked out tiesplanet.com! 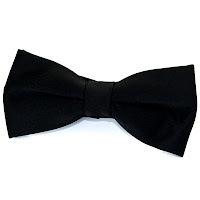 The website has a huge range of bow ties to suit all tastes.